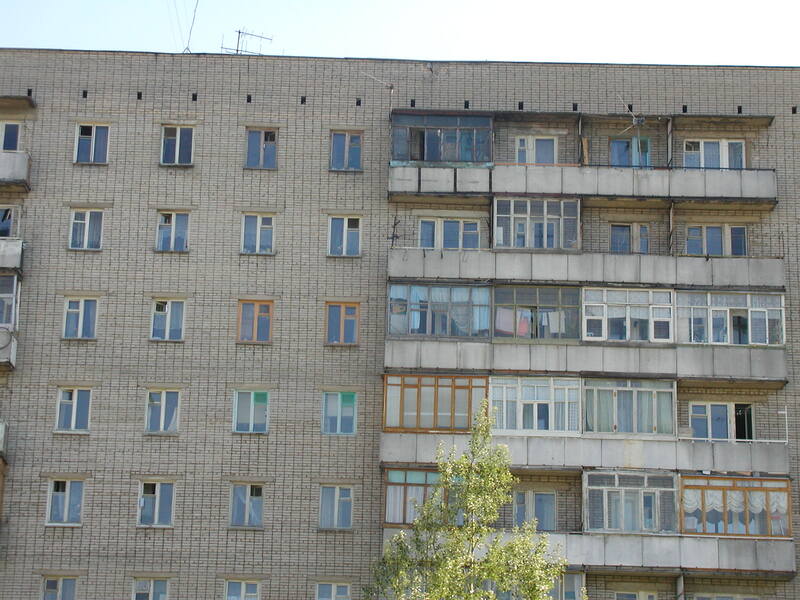 You have your virtues, I’m sure, but you ain’t no Solzenitsyn. Or Galileo. No-he is the icemachine that gives you nightmare. But his point was more about the mechanism. “The Trojan horses of censorship posing as good intentions.” — Good one! Unlike me, they didn’t have computers or the Internet to help get their message out. But climate alarmists quite closely resemble the 16th century Vatican and the Soviet Union. Oh, so mean to the Griff. And you are an American Solzhenitsyn! The biggest difference is that the damage inflicted on you is only measured by money and career opportunities. It’s only a matter of time, however, before the PC-Progs might have the power to bring the full weight of their hatred to bear on dissidents like us. 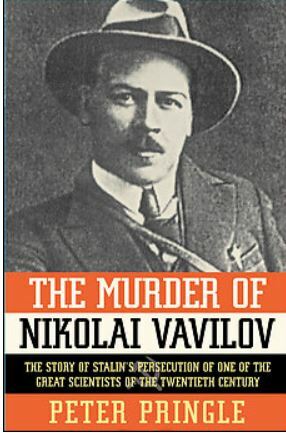 An even better analogy–a Russian scientist destroyed by the Bolsheviks for pursuit of the truth, against the PC thrust of fake “science”–is to Vavilov. “You have your virtues, I’m sure, but you ain’t no Solzenitsyn. Or Galileo.”…. Tony put his neck on the line when the odds were greatly stacked against him by you liars and losers….btw did you know trolls literally have NO life? Even your family avoids you I’m sure….pathetic…. Ms Griff is no Dzerzhinsky or Beria, to be sure, but she could make it as a Khrushchyovka block snitch. He’s also no genocidal a55hole. Tony Heller did not say he was either. Only pathetic losers like you, Ms Griff, have to set up such strawmen so they can knock them down. What will it take for you to understand what image of yourself you have created on this blog? As I’m sure you’re aware, the hoard of warmunists and leftists have little by way of self-awareness. Just yammering, mindless, robotic, automatons spouting, preferable through a bullhorn, baseless assertions and slogans. Sigh. Over the years on various climate sites, I used to think they were bots; or maybe even false characters invented by the host to keep things funny and interesting. (just an idle thought actually). And then I considered that perhaps they were young – maybe first-year law students, practicing debating skills by assuming an absolutely impossible position. Alas. It’s quite well established that these are actual people. It’s sobering. I hate that. You are right, gregole, I know that. I’ve met quite a few in person. The strangest thing is how self-assured and arrogant they are while parroting something they know nothing about. Many of them are actually not dumb, not within a conventional definition of being able to hold a job or do well on an IQ test. It’s their pride, their sense of moral superiority that prevent them from applying reason to certain parts of life and that’s a sin as old as our recorded civilization. It’s sad and hilarious at the same time. Lesson? Turn off you phone. Don’t you just love how the Associated Press hacks manage to attach this to the news about Strzok’s firing and their use of passive voice? Gotta keep the advertisers happy. The actual lead “investigators” of both the Hillary E-mail and Trump collusion “investigations” have been fired or forced to leave. Big legal problem for Muller. Tony, here is my effort to encourage people to demand a public debate. 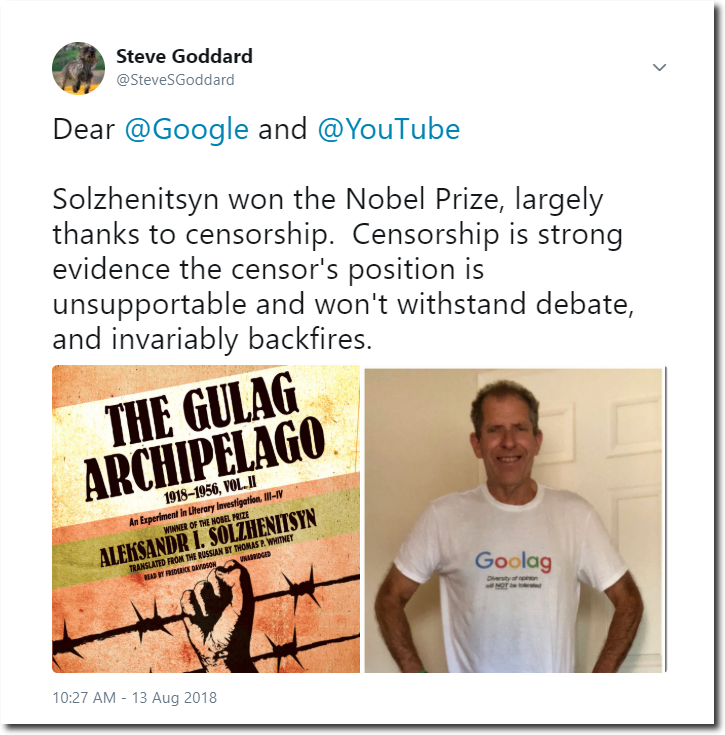 If Google ran refute these claims they can justify their Censorship. Their stupid, clumsy, immoral and probably illegal actions are not working as planned.